I am going to start a thread on overrated battles. Based on the discussions in earlier threads, I was under the impression that many forumers think that historians tend to overemphasize the importance of many familiar battles. Hm, well you seem to have beat me to the best ones, Normandy and Tours entering my mind immediately. 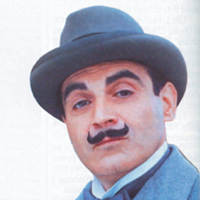 And then Waterloo comes to mind and I find that there too, very frustrating, poirot! Khesan isn't a bad one, won the battle but didn't win the war. To me, the battle of Balaclava is grossly overrated - it's wellknown almost entirely due to romantic poems like the "Charge of the 600" and "the thin red line"
"May the eyes of cowards never sleep"
If not Tours The Aarbic language now is a mian language in Europe. I can't continue the discussion but I agree with you in Gettysburg,Trenton,Talas and Lepanto. About Kosovo which battle you mean the first or the second please specify becuae there are difference between two battle. Tours (Poitiers): A moorish raiding party returns home with lotsa loot from the Frankish countryside. Frankish leader ambushes them and the full-will-loot Moors can't fight, succumb and flee. Extremely overated. Compare that with the siege of Constantinople by the Arabs or the siege of Vienna by the Ottomsans and you'll understand why it is overrated indeed. Normandy: By that time, the outcome of WW2 was practically decided. Everybody was working for "the day after". USA-UK did not want USSR to gain too much power, so they stalled for almost a year the opening of the western front Stalin was begging for. Out of a dozen different locations, they picked Normandy and landed an overwhelming force, impossible to be stopped by the forces the Germans had in France at the time. How was this "decisive" or whatever, escapes my mind. If you are looking for "decisive" in WW2, try Midway, El Alamein, Moscow, Stalingrad, Kursk. Normandy was a great (and bloody) show. Waterloo was just beating a dead corpse till it got to the rigger mortis phase... and still, that corpse managed to put up a good fight (but nothing past that). I think Tours and Agincourt are overrated, and they don't have the importance that historians have given them. As opossite, battles as Hastings, Lepanto and Waterloo have defined and detrminated our actual history. What do you think? Ain Jalut is overated hulega was leaving syria and his reargaurd small army was overwelmed by 120,000 mamelukes,historians say oh this battle repulsed the mongols from egypt but it was HOMS 1281 which was the decisvie battle. The claims about the cassualties on the mexican side are way too exagerated. It was merely an siege of 13 days and a final assault that lasted 1:30 hours and the execution of the texicans. More texicans were captured and eventually executed at Goliad and it is not mentioned as often as El Alamo. I also disagree with Waterloo. Had Napoleon won the battle, things would have been different indeed. What is history but a fable agreed upon? I have always wondered about that since I as a child saw that old Hollywood movie (with John Wayne) about Alamo, where like 10 000 dead mexicans litter the ground in a thick carpet of bodies... How many casualties did they really suffer? El Alamo is one of the greatest bits of propaganda in history. The battle itself only became famous because Davy Crockett died in it- an illiterate frontiersman who ran for the American congress and encouraged a personality cult of himself. This created a martyr out of him and the loss at Alamo made for a good rallying cry for the texans who later ambushed a part of the Mexican army, which suffered a few hundred casualties in that ulteroir battle. The Alamo battle itself was not very impressive either: about 150 Texans, the great majority of them of Mexican origin, holed up in an old mission and besieged by about 5000 Mexican troops. I believe that after 13 days, the mission was breached and Santa Anna gave the order for "no prisoners". It was nothing more than a skirmish really, but it was used for propaganda purposes later on. As for the whole "Americans standing up against tyrrany thing", which the American media and then Hollywood created, it is also false. Most Texans in the battle were as I said, of Mexican origin. The main reason why they were fighting was because Mexico had abolished slavery to deal with the American immigration in Texas, and they wanted to gain an autonomy which would enable them to keep slaves. Then the Americans took this as a cry for freedom... Oh the irony! Im wondering the same thing about Kosovo, if you're talking about the one in 1389, it had huge significance to the people of the balkans...it turned the Serbian empire into an ottoman province...or was the starting phas eof it. The battle of Kosovo was the fule to Patriotic risings, it was the material for poets and a hope for a better tomorrow. it turned the Serbian empire into an ottoman province...or was the starting phas eof it. The battle of Kosovo was the fule to Patriotic risings, it was the material for poets and a hope for a better tomorrow. The Serbian Empire had died before then. Serbia then split until feuding principalities(pretty much all of the Balkans was like that). The Battle of Kosovo was the unison of Serbs, Bosniaks & Albanians(mixed in with Croats and Romanians I believe) against the expansion of the Sultan under the leadership of Lazar. Even if the Battle was won I dont know what it would have brought besides a two or bit more decades of freedom, The Ottoman Empire was a united unit, whil the Balkans even among its own, they were fighting. Albanians were killing Albanians nevermind feuding over control with Serbs, Serbs against Serbs etc. The Ottomans would no doubt have taken the land after a while. Yes True. the Bosnian King Tvrtko sent substanial numbers of forces. The Albanian states i believe and the various serbian states. Croatia had not existed as an independent state at this time for almost 300 years, it had been annexed by Hungary in the 11th or early 12th century. Although, Hungary might have send forces that would have included croats. The state of serbia really did not exist realisticly the king was one of the claimants to the throne and had his substanial territory however, its also important to note that at this time the King of Bosnia and the territory that's Herzegovina now, had been crowned King of Serbia a few years before the battle, so he had a few of the western serbian lands his hands. The battle was resureccted in the nationlalistic movement of the 19th century and was over romanticized by serbs. Just like the Battle of Tours, which was more of a raiding party that was defeated by Charles Martel than a real invasion force, which the Frankish state probably would not have been able to contain. And even if they had the ability it'd take them more than one battle. After the battle, Martel turned it into a big propaganda campaign to gain more power in French Politics. Given more importance than it should have, I think. I think had the Serbians won at Kosovo it would merely have delayed the inevitable. The Turks would quickly have recovered and simply invaded again. Their ability to destroy armies like at Maritsa and Nicopolis is clear enough that they had plenty of martial ability left, only when they were as heavily stretched as distant Vienna would a defeat really prove decisive. I can see your point, they most likely would have invaded again, but perhaps winning at Kosovo might give them a better chance to get organized and perhaps make a bigger Christian army, say from Eastern Europe: Poland, Hungary, Lithuania, some of the Italian states... after all the Polish-Hungarian King Wladislaw III did attempt and succeeded a bit to drive the Turks out of the Balkans until he got overconfident, with venice speaking of reinforcements by sea to make sure no turks cross the bosphorus and also promised reinforcement from Vlachs and Byzantium.